Copaiba Dietary Vitality Oil has a pleasant, complex taste and when taken internally, it can promote wellness.With high levels of beta-caryophyllene and a uniquely sweet aromatic profile, Copaiba oil helps create a relaxing atmosphere when diffused or applied topically. 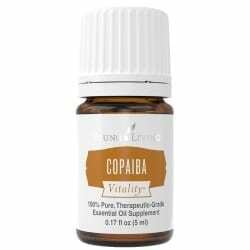 Copaiba Dietary Vitality Oil is made with the gum resin tapped from the copaiba tree native to Brazil and is known for its beta-caryophyllene content and sweet aroma. Copaiba Vitality has a pleasant, complex taste, and when taken internally, it can promote wellness. * Add Copaiba Vitality to a Clear Vegetable Capsule and take daily as an important part of your health regimen. You can also try adding a drop or two of Copaiba Vitality to your herbal tea, such as chamomile or rooibos, to enjoy its complex, soothing flavor. Order copaiba today and discover the wonders of the rainforest! What’s so great about Copaiba? Copaiba oil’s most prominent application is in reducing discomfort. Apply to focused areas after activity or a workout. Yes! Copaiba is safe enough to be taken internally. It can be used internally as a natural health supplement to boost health. You can also sprinkle a few drops on food or to juice. Hong Kuai Essential Oil, 5 ml.